Whether you’re moving in or out of a home, getting it ready for either requires work. 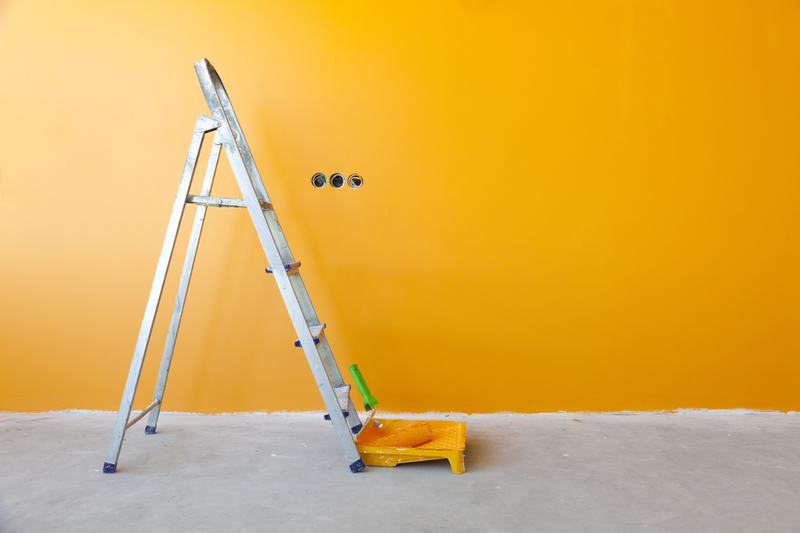 One thing many people, whether you’re a tenant renting a place, or the landlord, painting is one chore that is usually done at some point and choosing to paint before or after a move-in can be a dilemma. If you talk to homeowners, realtors and tenants, you’ll probably hear that they recommend painting before moving in and here are some of the best reasons why. • Ease of painting – When a home or apartment is empty, it is the easiest time to paint with the empty space, free of furniture and decorative items. In an empty home you don’t have to worry about moving or maneuvering around furniture to have access to the walls. • Keeps Your Furniture Safe – When you paint before moving in, your furniture will be safe from damages or mishaps due to paint drips and spills. Covering furniture will help to protect it, but accidents are still a possibility. The best way to ensure you don’t damage your belongings when painting is to paint before you move your furniture in. • Save Time - Painting rooms is a big chore and can take a lot of time. You can move much faster and make more headway when you don't have to move and shuffle furniture around,removing picturesor spend your time covering your belongings. Get the job done quicker by painting before you move in and enjoy your new paint from the get-go. • Money Saver – If you plan to hire a contractor to do the job, he will quote you a price that includes time and labor. When contractors have to move furniture around the room to paint, this can drastically raise the amount you’ll spend for his work. Save yourself some money by having him paint in a furniture-free home to avoid extra work and time. • Decorating Ideas – Moving into a new home makes you want to decorate. If you’re stumped for decorating ideas, you can help bring your ideas to light by starting with a fresh pallet of colors for your home. Once your rooms are freshly painted, you may find it easier to choose furniture and other pieces for your new home. • It Makes Your Home Feel Good and Fresh – Everyone likes moving into a home that feels fresh and clean. A fresh coat of paint on the walls makes your make feel fresh and clean and can reduce unwanted odors that may have accumulated from prior tenants. You’ll love moving into a freshly painted home without dirty, faded or scuffed up walls.